LG showcased its Film Patterned Retarder (FPR, polarized glasses type) 3D glasses at the 2011 Consumer Electronics Show. The new FPR 3D glasses include circular polarized lens technology that promises an incredible and better quality of 3D TV and is expected to popularize mainstream use of 3D TVs. LG explains that existing shutter glass (SG) 3D technology has long been criticized for picture quality problems like flicker and cross talk, as well as bulky, battery-operated glasses. With the new FPR technology, which they claims eliminates all the problems associated with SG 3D, they expected to change consumer perception of 3D TVs from an ‘expensive novelty’ to a ‘practical choice’ for everyday viewing enjoyment. 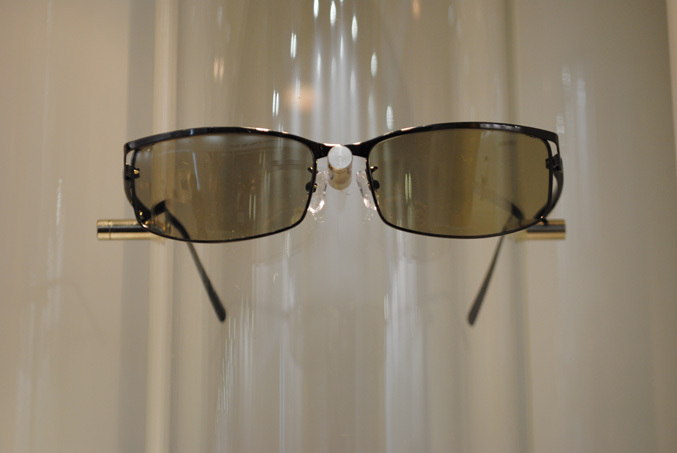 FPR technology utilizes lightweight and comfortable polarized glasses that emit no electromagnetic waves, doesn’t produce flicker or crosstalk and FPR clip-on shades are also available for prescription glass wearers, replacing the need to wear two sets of glasses with SG displays. Also unlike SG glasses which restrict flexible head movement and cause the glasses to go dark, FPR allows users a fuller range of movement and even to lying down on a sofa without losing 3D picture. Other main main advantage of the FPR glasses is that is expected to retail at a price around 5x less expensive than SG ones. Many companies like Philips, Vizio, Toshiba Skyworth, Konka, Hisense, Haier, Changhong and TCL, already have expressed their interest in FPR 3D and developing TVs utilizing the technology. Consumers are able to purchase FPR 3D TVs now in China, and soon in the US and Europe.